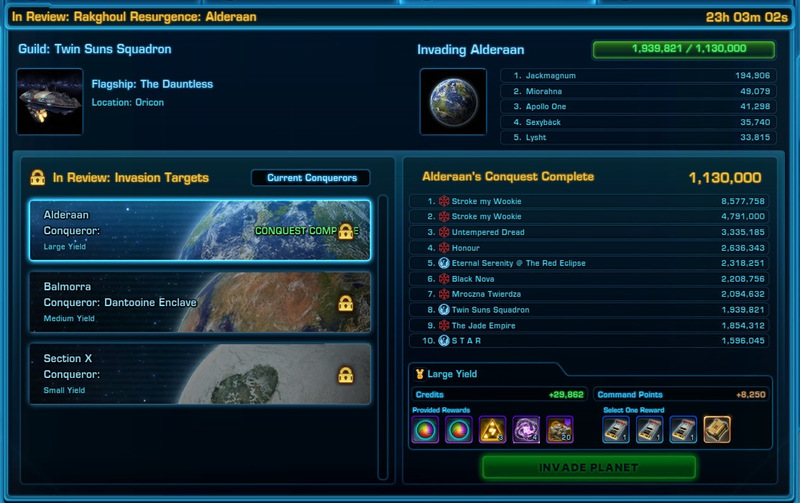 Large Yield Conquest Success on Alderaan! This week Twin Suns invaded a large yield planet for the first time, a prospect that seemed somewhat daunting at first, but being dauntlessly bolstered (do you see what I did there) we rose to the challenge and absolutely smashed it, hitting the guild target by Friday and finishing on nearly 2 million points total. 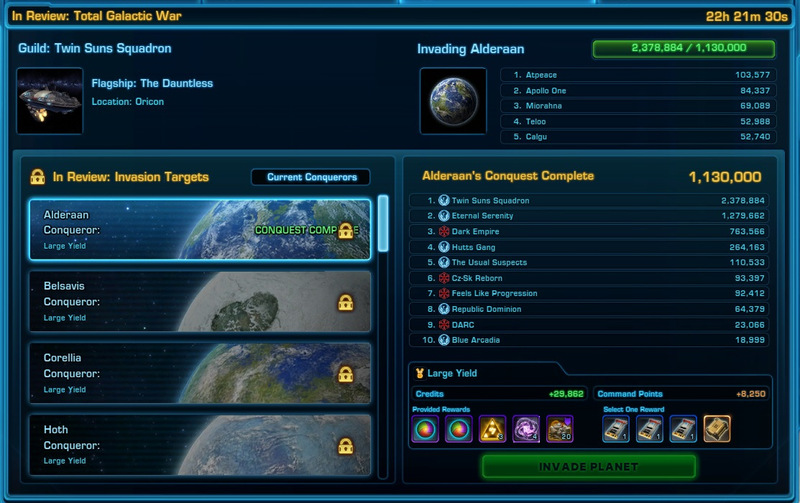 In first place we had Xentunin hitting his personal target on a whopping 22 characters for a massive 336,568 points! In third place we had Meilan, who - not wanting to be completely outdone by Xen - contributed on (a still probably higher than healthy) 12 different characters. 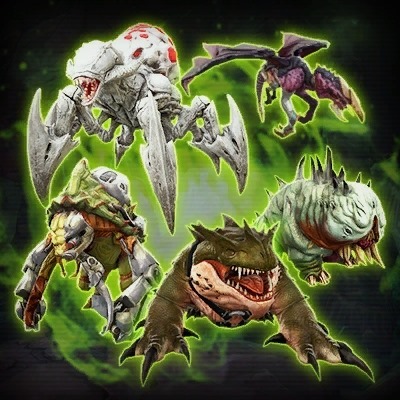 Good job everyone and enjoy your rich rewards tomorrow!